Are you on a serious job hunt in the hospitality industry? Let’s get you going with a few advice on writing a killer resume. Let’s be honest; writing an effective resume for a hotel manager’s position hasn’t always been a walk in the park. The same goes for any other position in the hospitality industry. Here we present some resume tips to write a killer resume for the hospitality industry. Even people from other industries will find this post useful as these tips will help walk you through your own resume. So read on for tips on how to write an effective hospitality resume. And, please stay with us until the end of this article to have some resources to download free resume templates to make your job easier. Your CV or Resume helps you get through the initial channel. 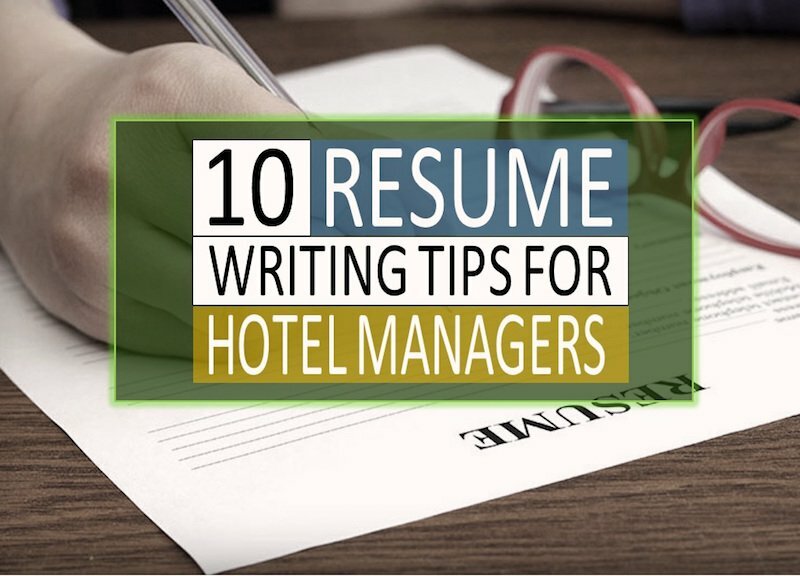 So, all current and potential hotel managers must take care of these tips while they curate an effective resume. Hospitality Companies are increasingly using software for screening resumes and thus it is extremely important to make sure your resume outwits your competition. As you might expect, there are several qualified and competent candidates out there, making your job seeking process a little daunting, if not downright challenging. So, these resume tips would help you get ahead of the pack early in the race to your next hospitality jobs. So, there’s no doubt that you have to do a bang-up job on your resume to stand out from a sea of other potential hotel managers and hospitality professionals. The good news is that the hospitality industry is rife with inspiring individuals. Here is a comprehensive list of practical tips for writing a resume for the hotel and hospitality professionals. Read on to whip up a resume that will knock your interviewer’s socks off. There are other useful posts on this website on Big Five Personality Traits of Hoteliers and on Self Assessment to help in getting the basics right for preparing an effective resume. Let’s get going to understand why a resume can make or break our prospect of getting a job in the hotel industry. As reported by Ideal, the hiring volume is set to increase while the recruitment team will continue shrinking. Resume screening tools backed by technology and artificial intelligence is going to play a bigger part in the screening of the CVs. So, if your resume is not perfectly curated, you might get rejected by the software itself. It is thus extremely important to get the resume made right. For the humans as well as robots (or automated bots). So, What Really should a Hospitality Resume include? It all about highlighting skills on paper. You need to ensure that anything that can help you get a job should be there. Short, concise and in professional language based on the industry’s norms. So, before we get on with the tips to write an effective resume, it is important to get a zest of the whole resume building process. The first question that springs up is what is a resume? I know it sounds a little corny, but some people don’t get the allure behind resumes. An ideal resume for hoteliers with less than 5 years of experience should be 1 page long. Ideal resume length for hotel managers and other senior positions in the hotel industry is 2 pages. Simply put, a resume is a curtailed CV, a self-promotional document that paints you in good light. Curriculum Vitae or CV is the lengthier version but even a CV should not be more than 2-3 pages long. Needless to say, the central purpose of a resume is to help you land an interview with your dream hotel. In the hotel industry, for instance, a resume offers a snapshot of your professional experience, training, and career ambition. Oh yeah, that short paragraph can make a big difference between landing the job of your dream and riding the unemployment bandwagon like millions of people out there. So, your job object should be presented in a choice of less than 15 words. Trust us; anything beyond that is just but a blurb or “fluff.” And, the last thing you want is your potential employer questioning your credibility or objectives. Again, stick with a brief but succinct objective. Check out more resume objective samples here. 2: What about Functional vs. Chronological Format? One question that bugs many hotel manager position applicants (and possibly other positions) is whether to use a chronological format or a functional one. In the hospitality industry, when writing a resume, it boils down to whether you are changing gears or staying in the same field. So, if you are seeking to move from one hotel to another, it’s advisable to use a skill-oriented format to present your transferable skills. Otherwise, you will have to use a chronological format if you are transferring from another field. This is one of the crucial resume tips for the hotel industry. It is an important one if you want to be transparent to give the best first impression. We would refer this point as the game changer in your strategy to write an effective resume. This is an aspect of a resume that’s vital but often neglected. Don’t leave out unexplained gaps in employment history. It’s a surefire kiss-of-death to your prospects of garnering a hotel manager’s job. So, explain them as gracefully as possible. Were you sick or on maternity leave? Don’t shy away from making it clear-cut; you will be glad you did. 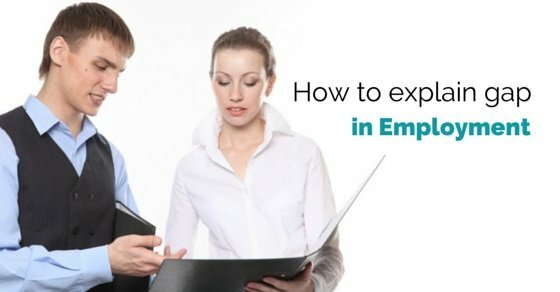 Article by Wisestep explains several tips to counter the issues of Employment gaps. Use them briefly in your resume and more importantly during your interview. 4: Are You a Job-hopper? Let’s face it; everyone has been on a spell of job-hopping. The bad news is that such an image will taint your chances of getting a job. How to nip it in the bud? Bundle up several similar positions into one “chunk.” Cut this part of the story short and concentrate on the positions where you did well. While you can’t hide your job hopping spree, you can always succinctly explain the reason. This again is a key to writing effective resumes. Treat it as one of the resume tips that would give an edge over competition straight away. So, in order to get a clear lead against your competitors, please make sure you integrate this approach in your resume building plan. PAR approach to effective resume writing has been tested with outstanding results. PAR or Problem Action Result has been one of the most effective ways to get eyeballs of employers shining immediately. Check for more hospitality related interview questions and try to see if your resume can answer a couple of these concisely. It makes a great impression as the employers know few of your answers already but they better be impressive and well constructed. Wondering how far back should you go when writing an effective resume? While this boils down to your significant achievements, it’s good to go way back but not too far. In principle, anything between 10 and 15 years will do just fine. It is said in most industries that anything over 10 years is your past life. Until and unless you were the star of your generation skip things which are over 10 years old in your work history. 7: Worked for One Hotel for a Long Time? To make things pan out well on your resume, list each position you held in that hotel separately. If you moved up the ranks over the time, make it apparent. Also, make sure you don’t go over the line. It’s a resume after all not an autobiography. I know most people like to include interests and hobbies in their resumes, but when applying for a hotel manager position, they are a big No-No. So, ditch them for something like “Accolades.” On the whole, if a hobby isn’t relevant to a management position in the hospitality industry, it’s not worth a place on your hotel management resume. While hobbies and interests will not add value to your resume, volunteer and charity work will certainly work in your favour. So, include at least two instances you used to work for the greater good of the community. And why does it look good? It makes you come out as a person who is willing to help. The hospitality industry is all about teamwork and you gain some brownie points by indirectly mentioning your positive attributes of being compassionate and helpful. In the hotel industry, networking is the name of the game. That means your list of references should include bigwigs in the industry. It will paint you in good light. Look at a few sample resumes once you get started. There are a lot of free as well as paid options. While service providers like Champresumes and Livecareer resume builder provide both free trial and paid professional resume building services, there are free resume sample sites as well like the Resume Genius. The worldwide Web is full of resources that provide both free as well as paid resume building services. So, if you are one of those willing ones to make a mark at the outset, you will not fall short of options. There are a few more things you must follow to ensure you have done a great job in writing an effective resume. Here you go some of the cruise hospitality resume tips for ensuring that you reach to the interview stage. Once you have made your killer resume, just run through this quick checklist. This is an important checkpoint in order to learn the art of writing an effective resume. Resumes are the first information employers have about you. Use them wisely to portray a clear impression of yourself. Be concise as employers take no more than 45 seconds to screen a CV or resume. Think in terms of how you add value to the organisation you are applying for and how valuable you were for your previous organisations. It is important that you portray a true image of yourself. So, try to present your true self but be smart to quantify your achievements. Be specific to the hospitality industry and don’t use a general resume. Your resume displays your learning and if it is customised according to the hospitality industry, it helps in making an immediate impact. Make sure you clearly mention your accomplishments. A Career Summary is your overview. It grabs eyeballs immediately and thus invests time to use excerpts from your career and education history. A Summary should not be more than a sentence. You are all set with a Killer resume now. Also read about the Different Types of Interviews to get ready for next stage. Do not forget to submit your professional resume here with us as it is FREE and makes your profile visible to hospitality employers from around the globe. Hope you liked these resume tips to write an effective resume and found the resources about resumes of hotel management professionals useful.